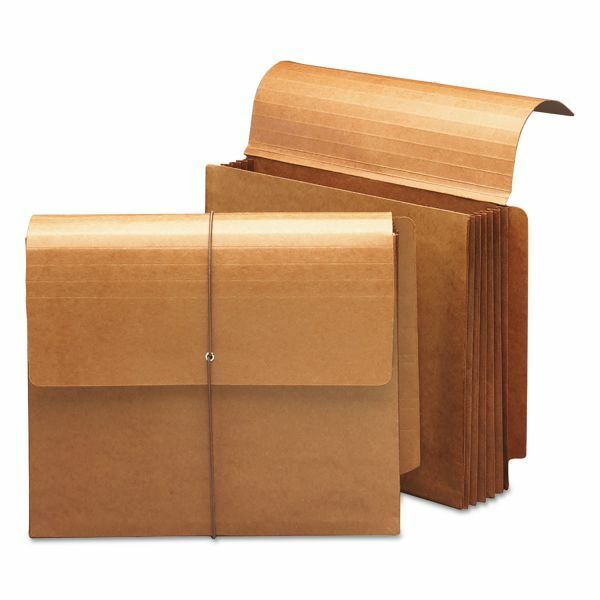 End tab file folders fit neatly inside without bulging the side gussets. Protective flap and elastic closure. Can be incorporated into existing shelf filing systems. Fully lined Tyvek® gussets for extra strength and durability. 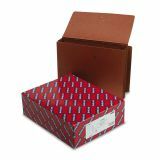 Smead 5 1/4" Expansion Top Tab Wallets, Straight Tab, Letter, Redrope, 10/Box - End tab wallets allow top-tab file folders to fit neatly inside without bulging the side gussets. The protective flap and elastic closure ensures that the contents will not fall out when transported. Can be incorporated into existing shelf filing systems. Redrope wallets include 3/4 wide straight-cut tabs and full-height, Tyvek-lined gusset with rollover Tyvek reinforcement at top." 3/4" wide, double-ply straight cut reinforced tab is embossed for label placement.